This page contains interactive gizmos on various aspects of trigonometry. This website requires Shockwave Player to run some of its features. This page contains a series of animations on trig functions and their inverses. This page contains an interactive lesson on trigonometry of right triangles. This page contains links to lessons and review of right triangle concepts. This page presents a nice graphic showing many special angles and the trigonometric values on the unit circle. Because of the way this page redirects, you may find it necessary to copy and paste the url into your browser to avoid a page error. This page has an interactive unit circle, instantly giving the values and graphs for the three trig functions. This page contains a graphing applet that will graph a function and its inverse. This series of pages discusses the inverse trig functions and their graphs. This series of pages discusses the graphing of trig functions, including the impact of real-world parameters of amplitude, frequency, and phase shift. This series of lessons provides an in-depth look at graphing the trig functions, beginning with terminology and including practice problems. This page contains a calculator and applications of the Law of Sines. This page contains an interactive lesson on the Law of Sines. This page contains an interactive lesson on the Law of Cosines. This site includes practical examples and lessons on solving for unknown parts of triangles, including the Laws of Sines and Cosines. This page contains a free printable worksheet on using graphs to verify the identities. This page presents a helpful tool for remembering and applying all the trig identities. This page introduce the trig identities, but concludes with the half-angle, and angle sum and difference identities, including practice problems. This series of lessons and practice deals with the trig angle-sum and difference identities, as well as the identities covered in the next lesson. This page steps through proofs of sum and difference identities, as a good example of how to approach other identities. This page contains a lesson on double-angle and half-angle identities. 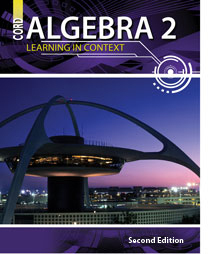 This page concisely summarizes every trig identity covered in our course, and more. This page contains practice on solving trigonometric equations. This series of pages presents several examples and strategies for solving equations with trig functions.